We offer several opportunities to contribute to this global journal's effort. If your university or company is a supporter (that means they help with the distribution of our Calls for Material), you can be nominated as a Co-Editor. Co-Editors review final editions, they do not review individual papers, and have minimal workload. The role is unpaid but receives an official Letter of Appointment for a rolling 5-year period. 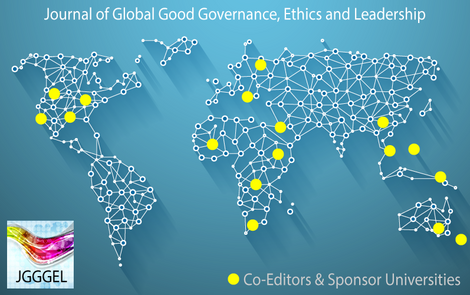 If you are a person with valuable contributions to make in the area of Governance, Ethics and Leadership, whether in Academia, Practice/Management or Government, we invite you to become a member of the Editorial Board of our Journal. You will likely be asked to review one paper submission every 2 years and thus have a minimal workload. The role is unpaid but receives an official Letter of Appointment for a rolling 3-year period.